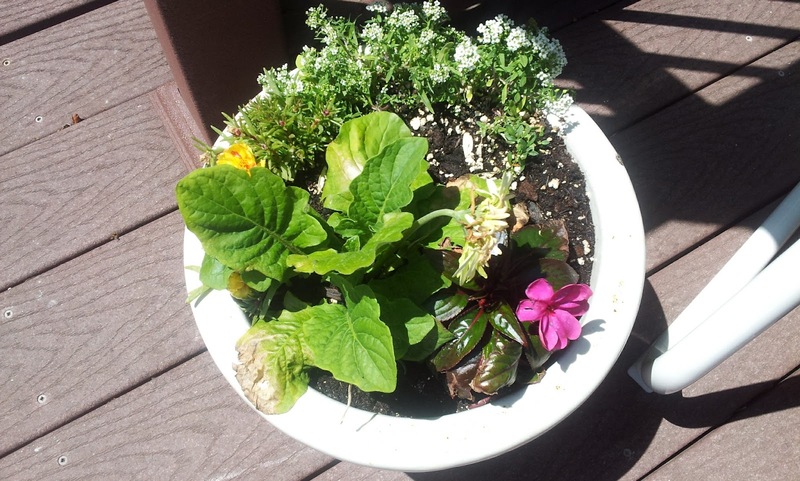 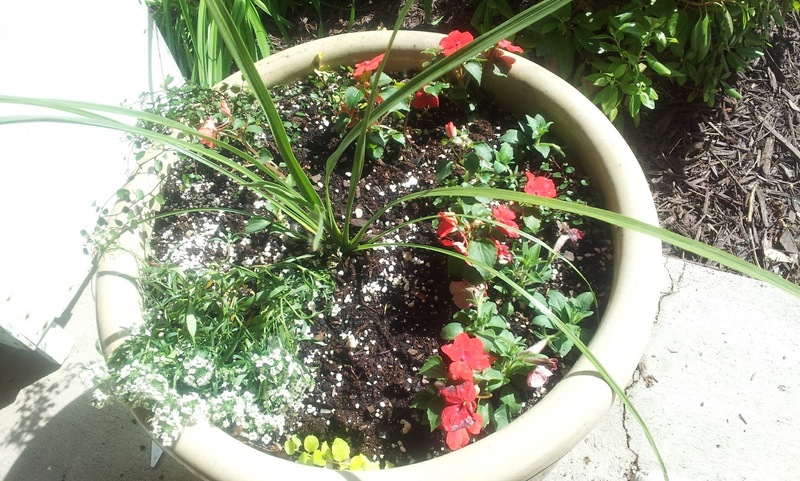 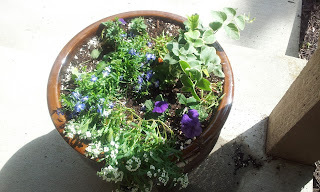 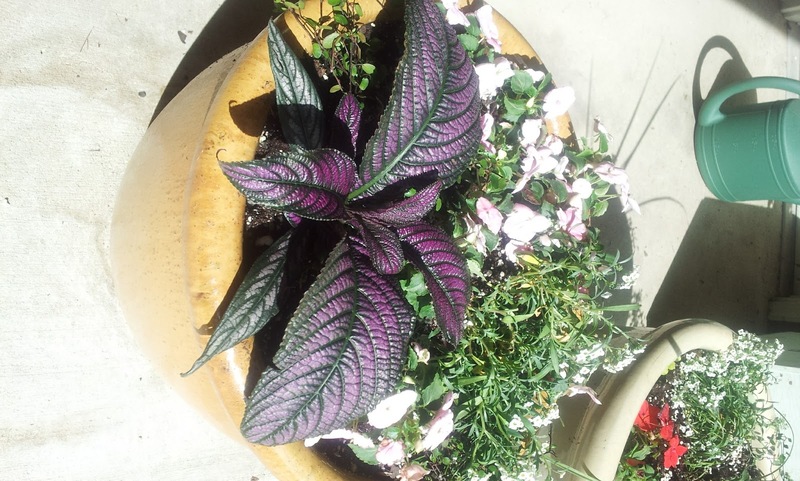 We have been busy working on the outside landscaping, planting some herbs and vegetables as well as flowers in pots. 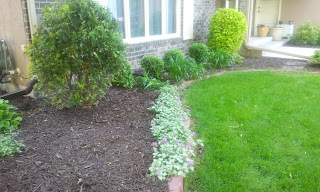 The weather has been pretty nice on the weekends, so we have gotten a lot done, but we still have a long ways to go. I am going to try to post progress pictures as the summer goes on. 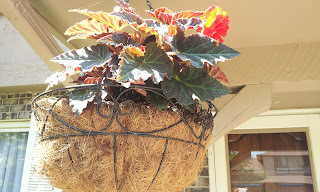 But here are pictures from last week and this week. 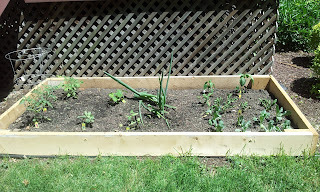 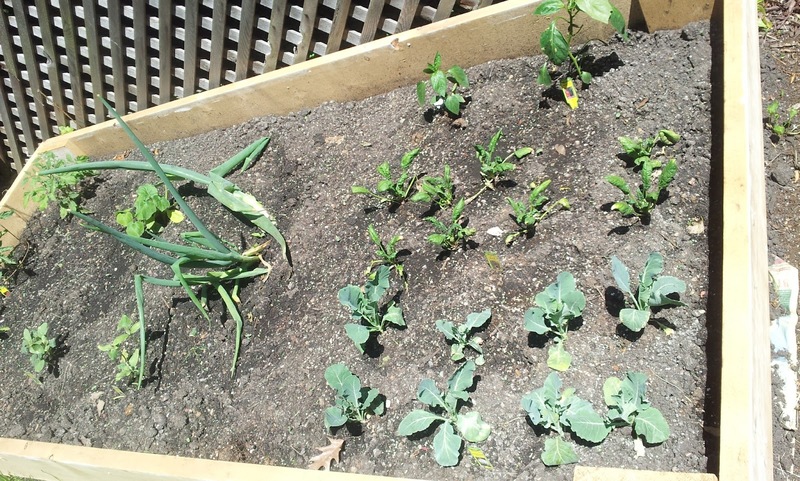 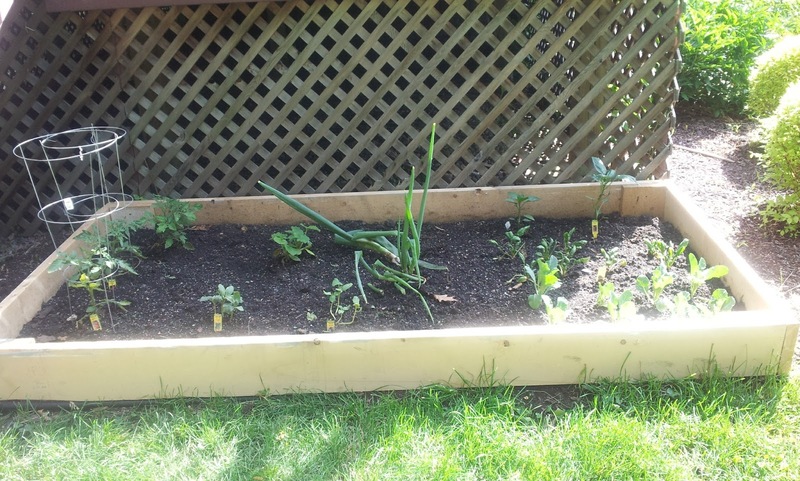 From left to right we have, three tomato plants - different varietals, cucumbers, zucchini, spring onions, cauliflower, spinach, red bell pepper and jalapeno peppers. 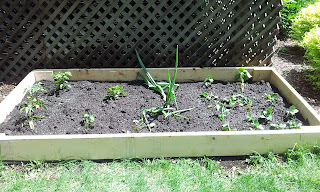 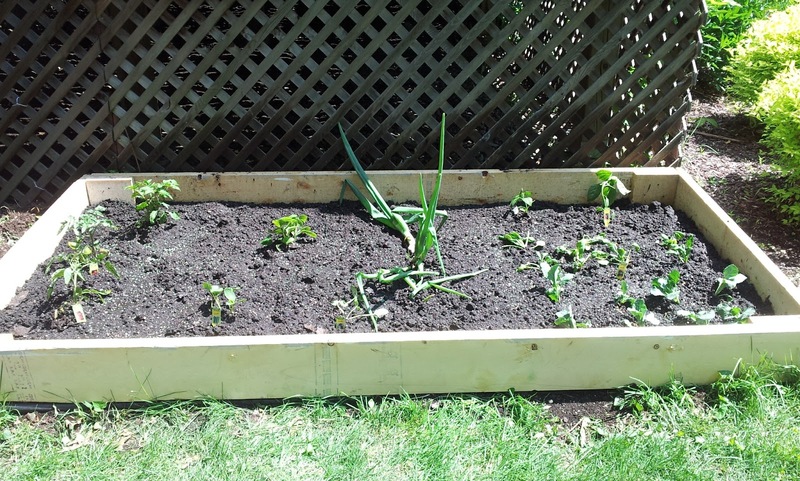 This is kind of an experiment as the boy just built the raised bed for me. 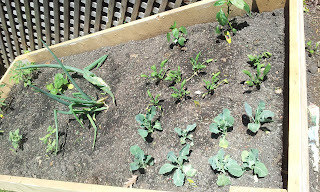 I have a feeling the cauliflower may be a little too close together and I am not sure how the spinach is going to do. 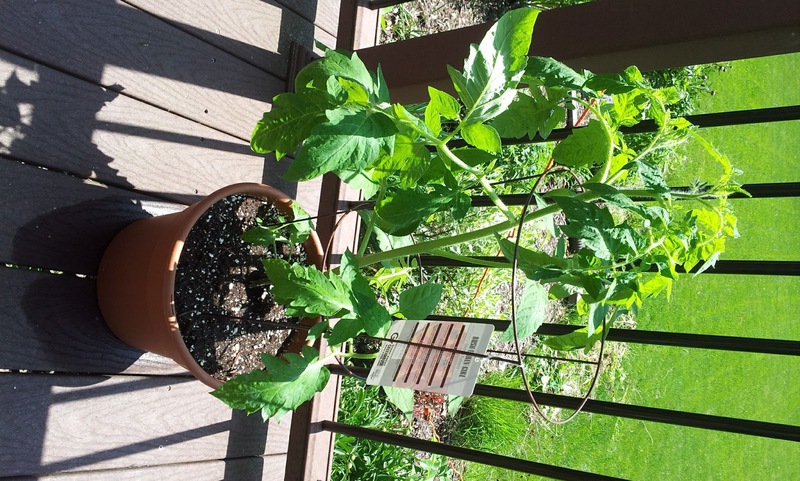 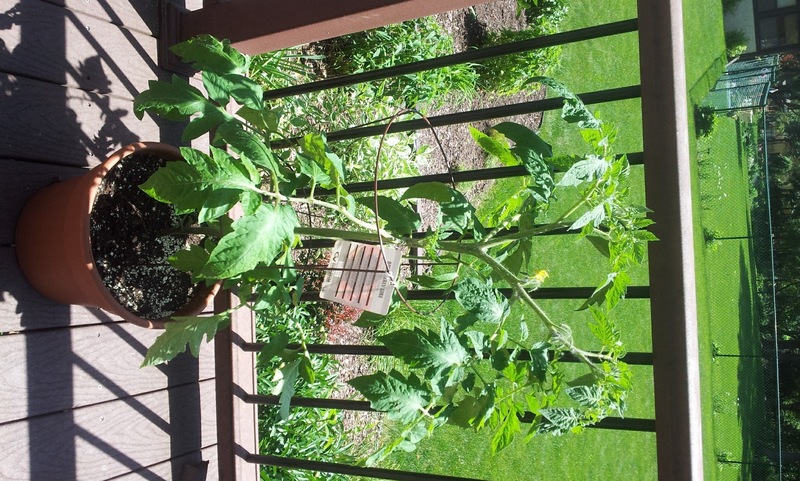 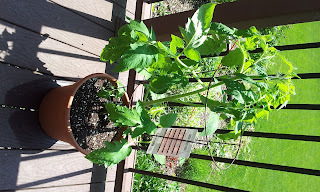 This is an early girl tomato plant that we bought at Costco. 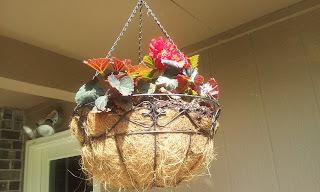 We bought one there last year as well and it did really well. 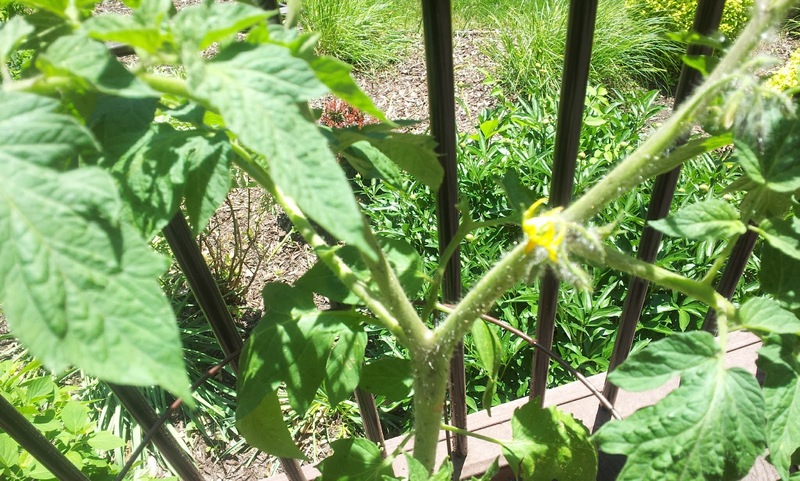 So far it seems to be doing really well. 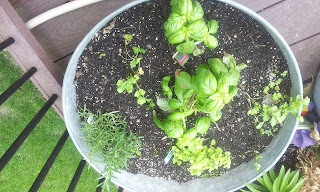 I love to all kinds of fresh herbs. 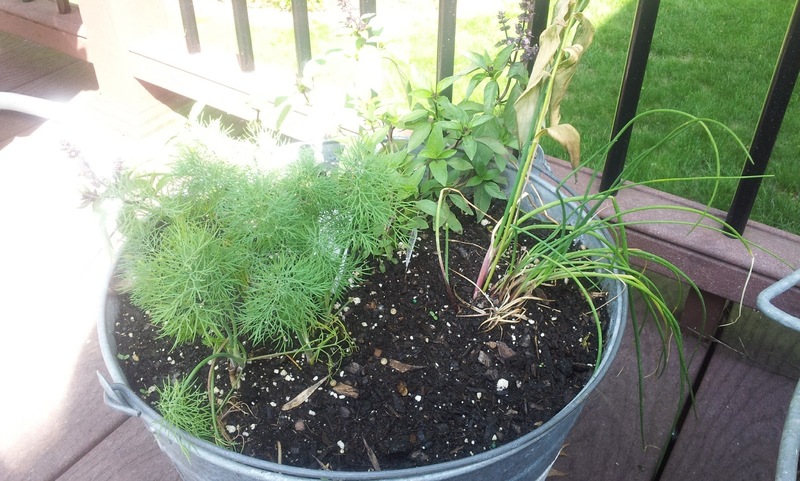 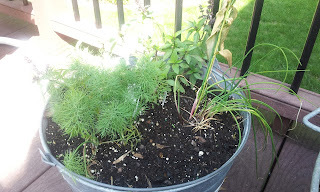 In this pot we have dill, thai basil and chives. 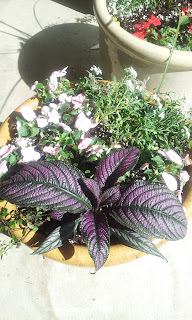 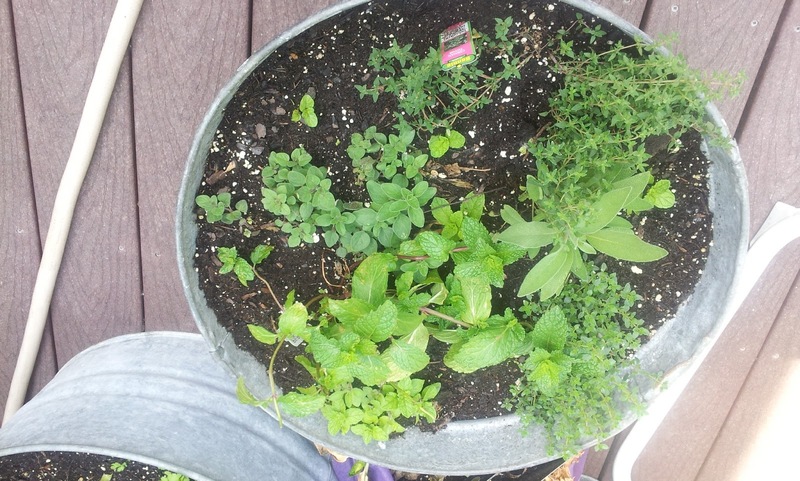 In this pot we have sage, Greek oregano, mint and thyme. 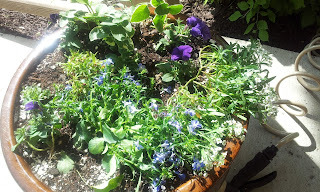 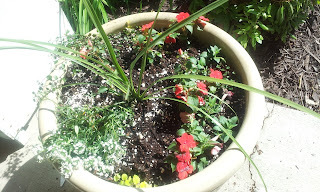 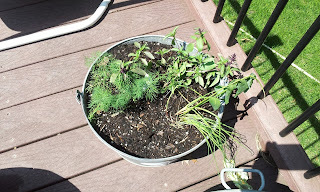 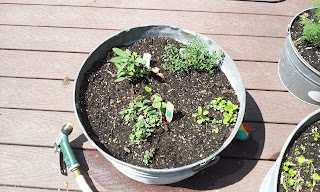 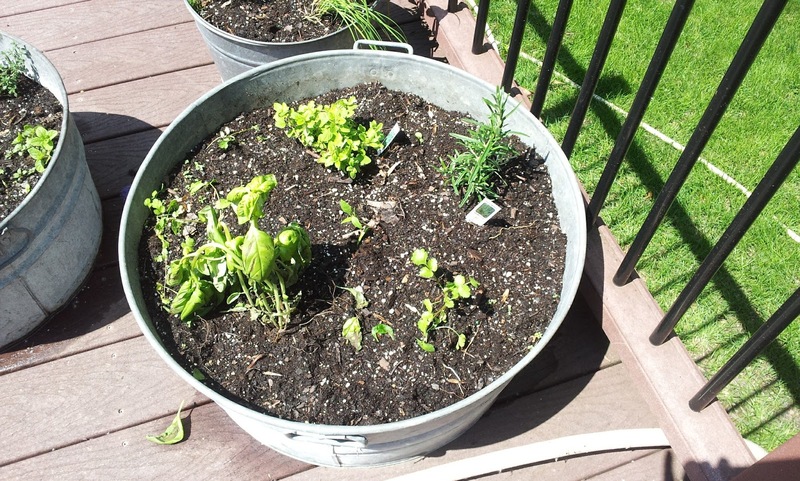 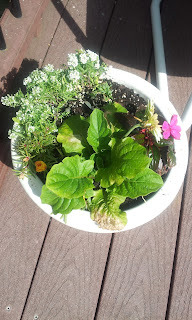 This pot we have rosemary, sweet basil, cilantro and Golden oregano. Here are week 2 pictures. The herbs are really filling in nicely. Cannot wait for a fresh herb salad! 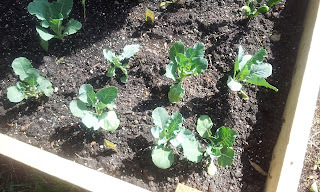 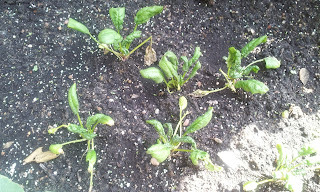 The spinach is coming in too. I have no idea how much cauliflower to expect, but I am already collecting recipes. The Costco tomato plant is doing really well, I even have a flower on it already, and it isn't even Memorial Day! 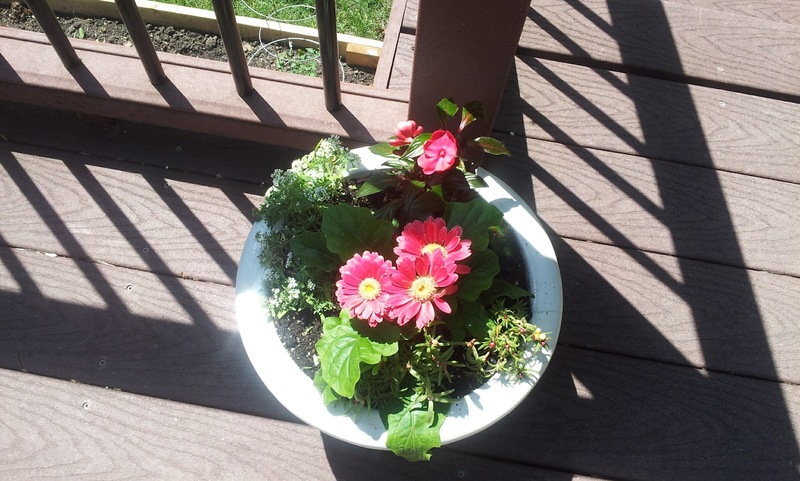 That is really early for Minnie, but we have had such beautiful Spring weather. 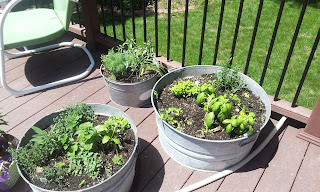 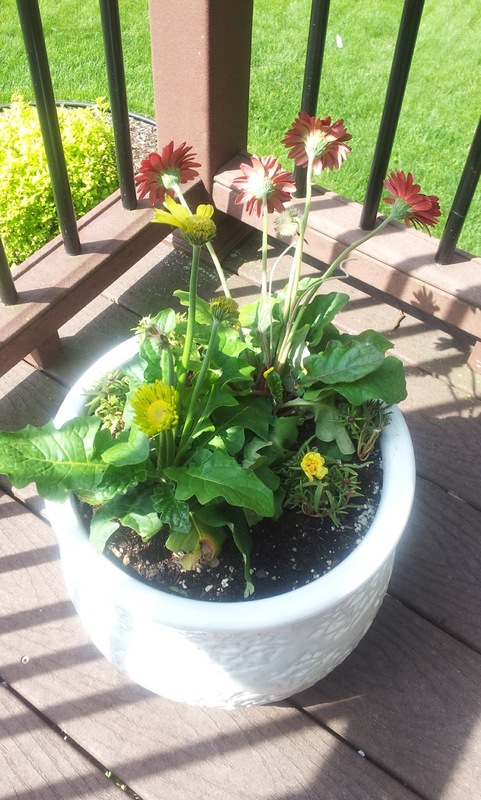 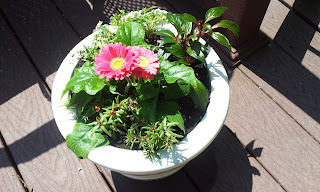 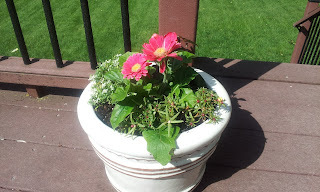 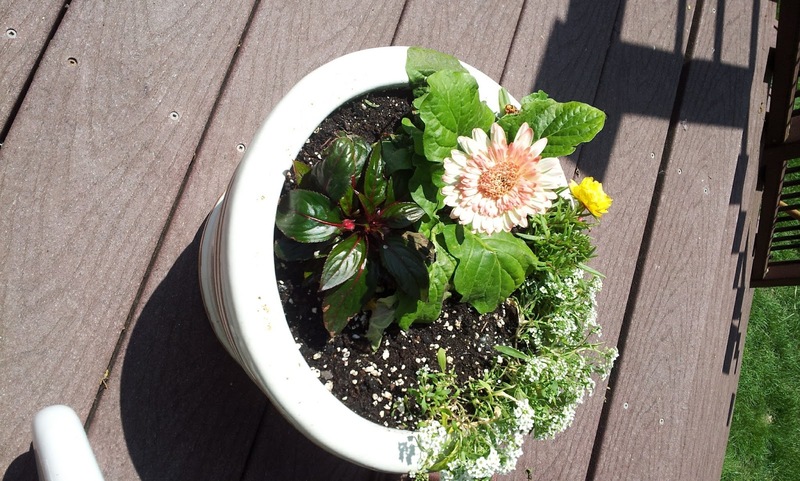 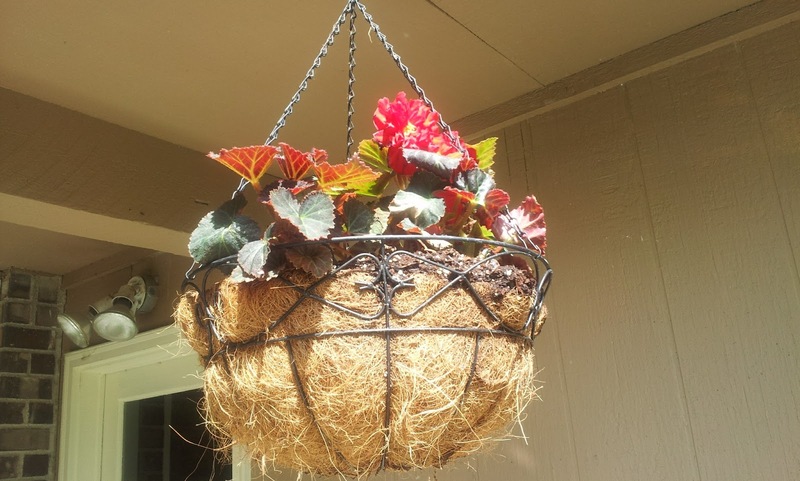 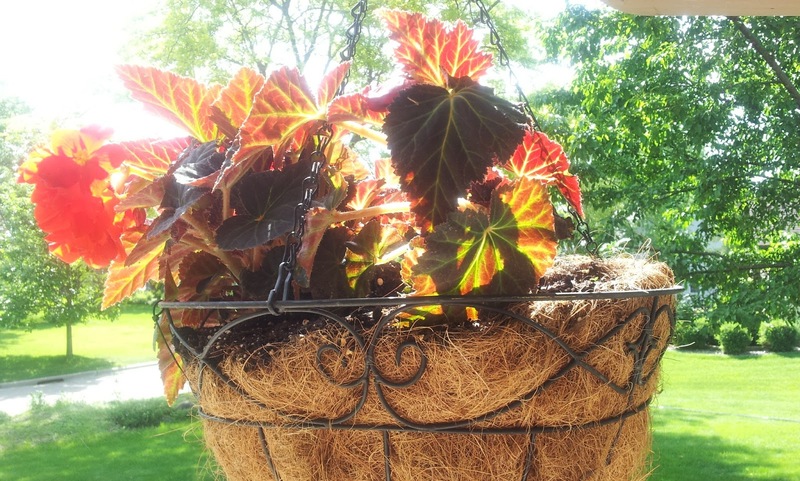 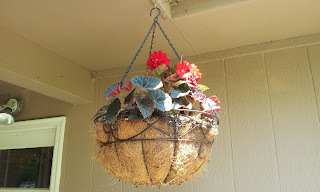 The pots are all planted with flowers and coming in nicely. I hope that I bought hardy flowers that will do well in our weather. 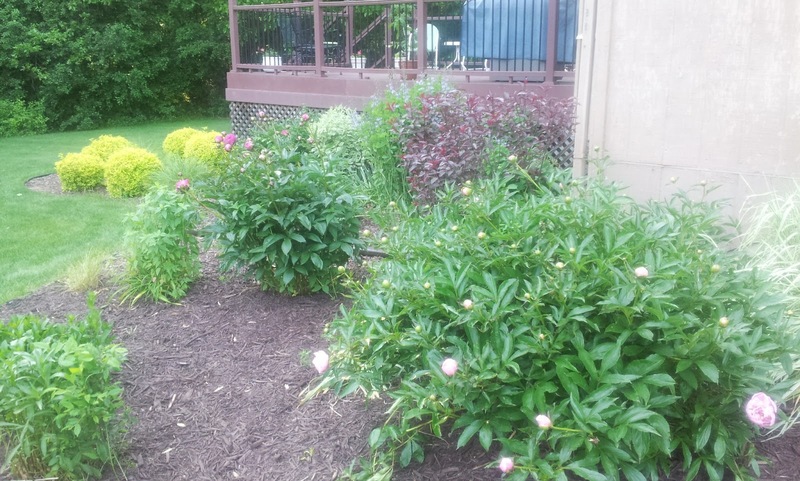 We see a little bit of everything here in the summer. A week later and a couple more planted. 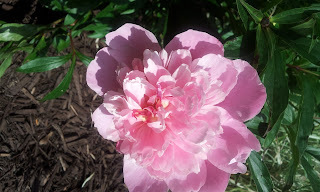 . .
And the peonies are coming out, my all time favorite flower and we have four big bushes of them, I just love them, my favorite time of year. 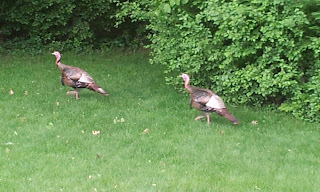 These are about three to four weeks early. 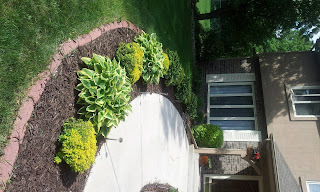 And of course some of the landscaping. 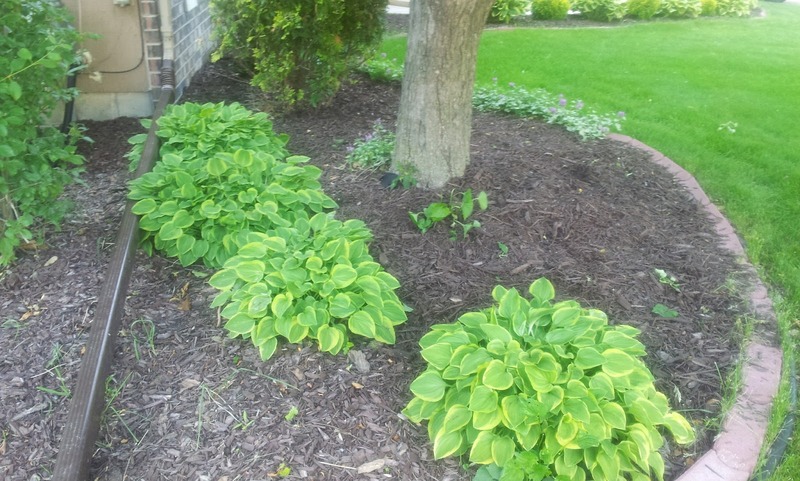 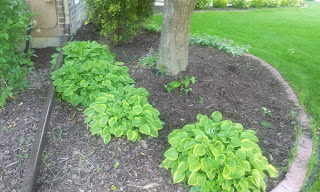 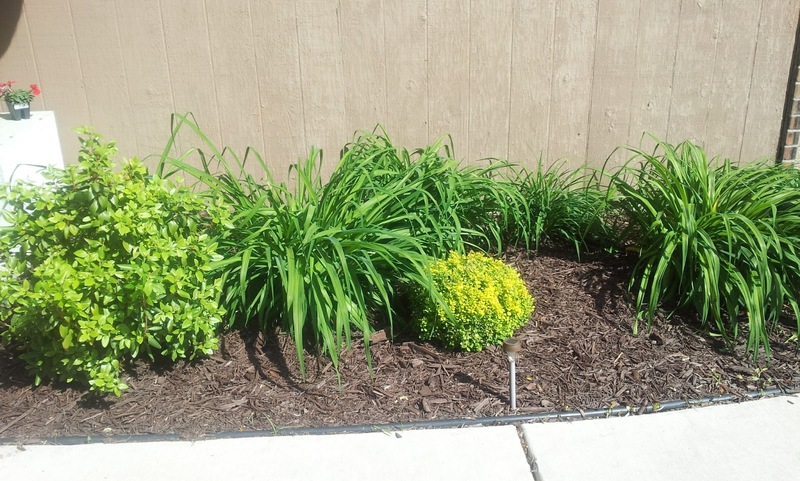 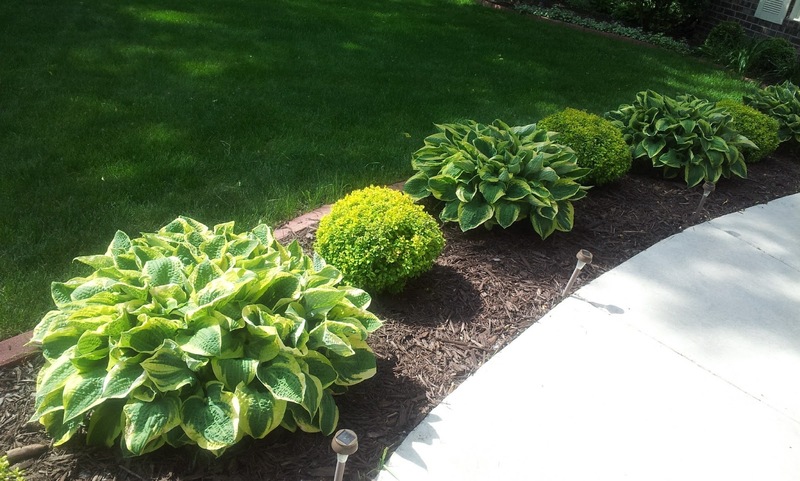 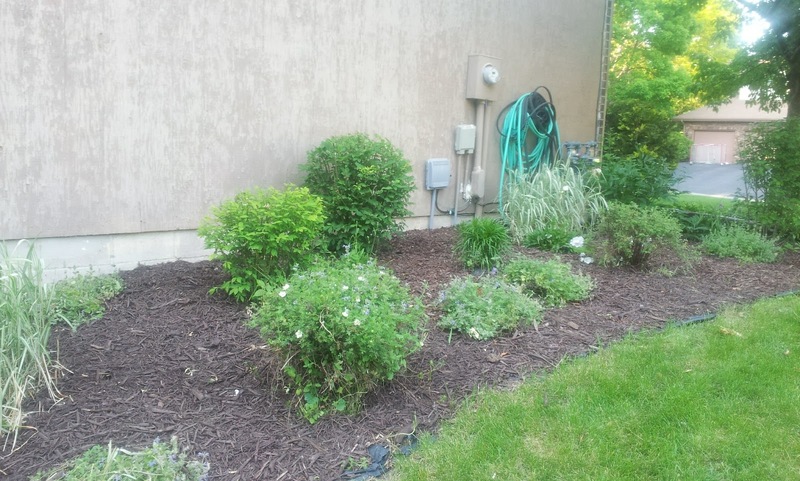 We have a lot more of this to do, but it is getting there and the hostas are looking really strong and healthy. We want to put these in another area of the yard, but I am guessing they are not going to come in as healthy and strong and next year. 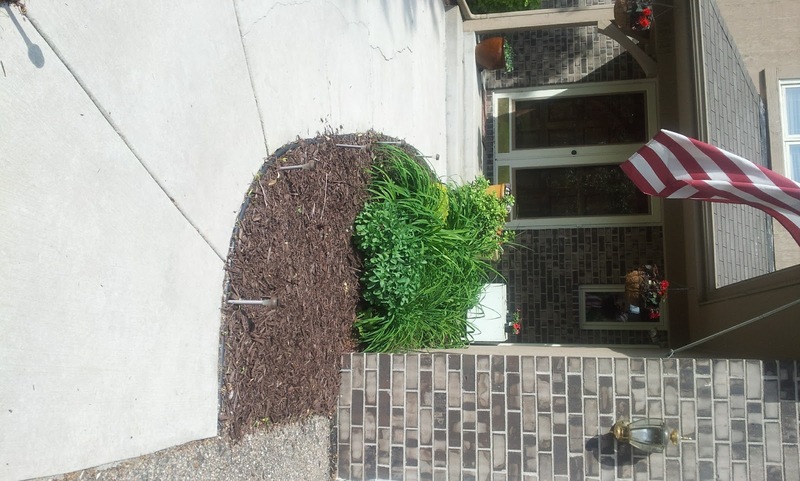 We have more mulch that needs to be put down, and three other areas to landscape yet, but we are getting there. 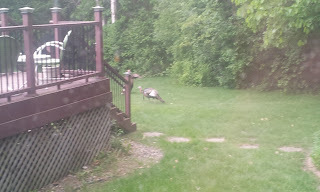 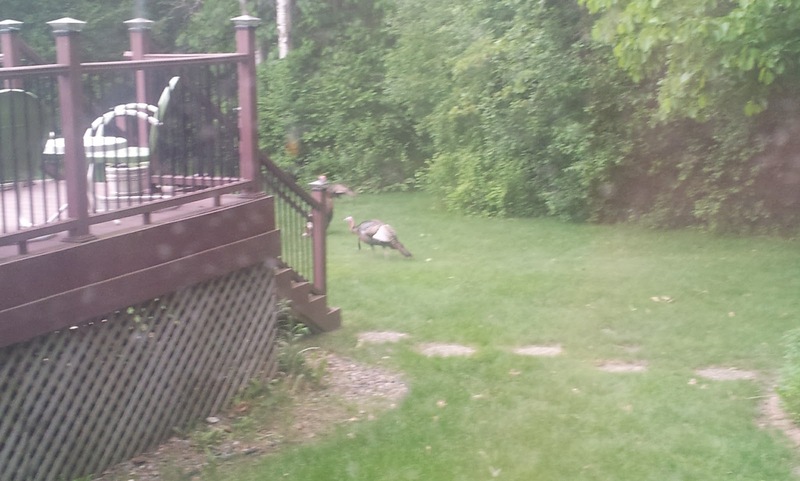 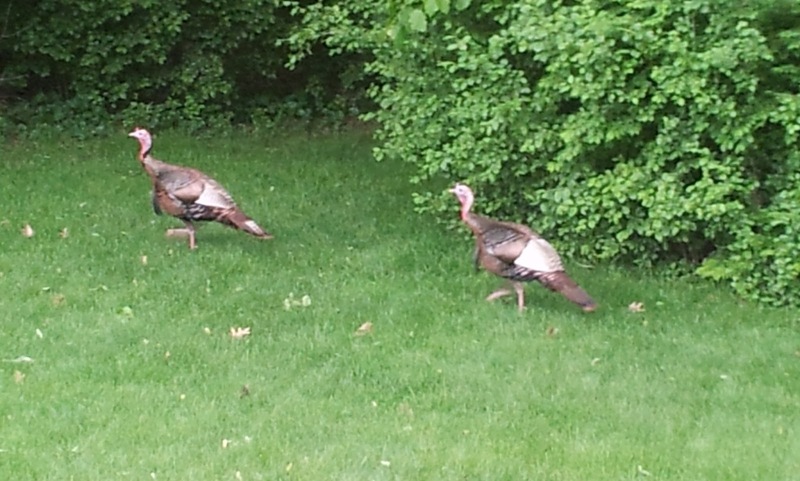 Here are some of our frequent visitors to our yard. 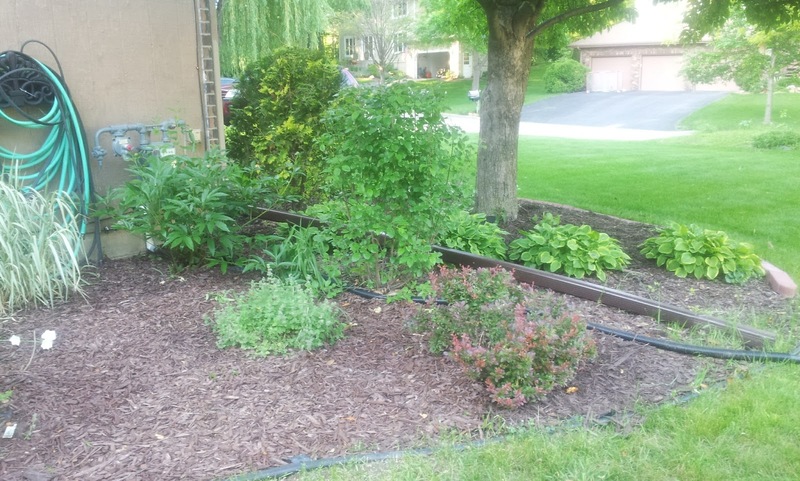 Stella LOVES to watch them. I hear them all day long while working, it is the FUNNIEST noise. 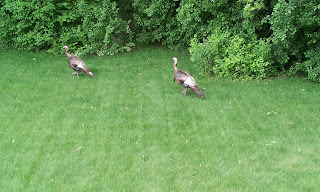 Last year when I first started hearing them, I had no idea what it was. Hoping to post some transformation pictures of the yard this summer. We have a lawn service again this summer who comes out and sprays for weeds and to help keep the grass healthy. 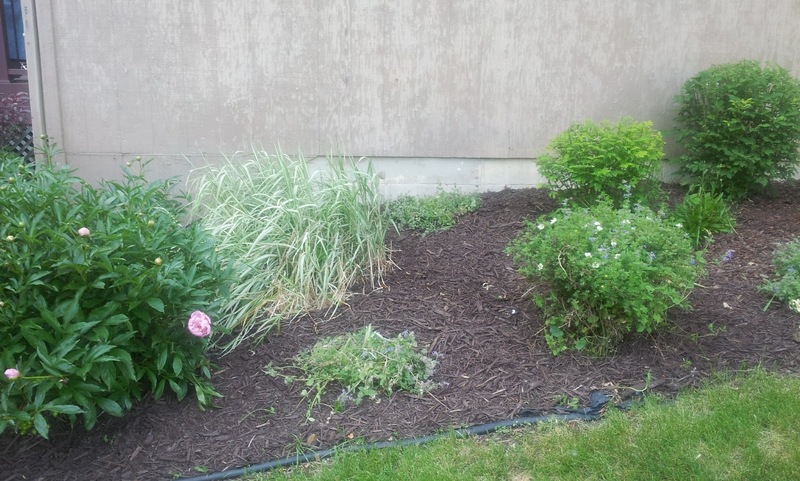 It was in really bad shape when we first moved in. It has been fun to bring some life back into it. 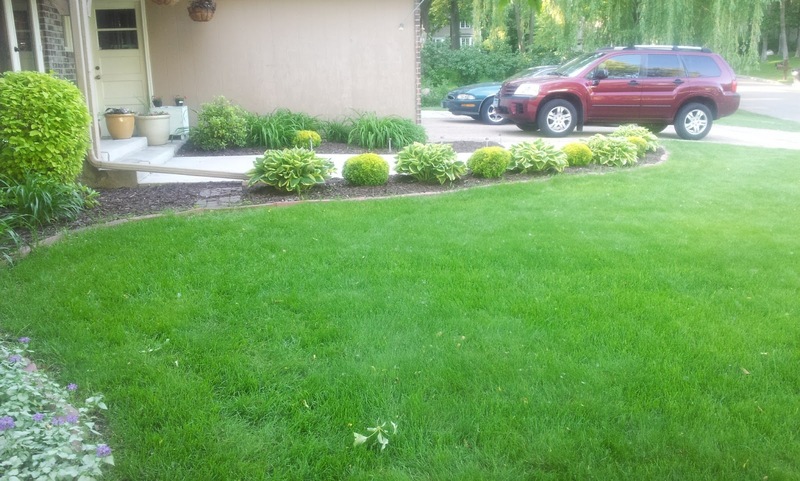 The garden and yard look great. 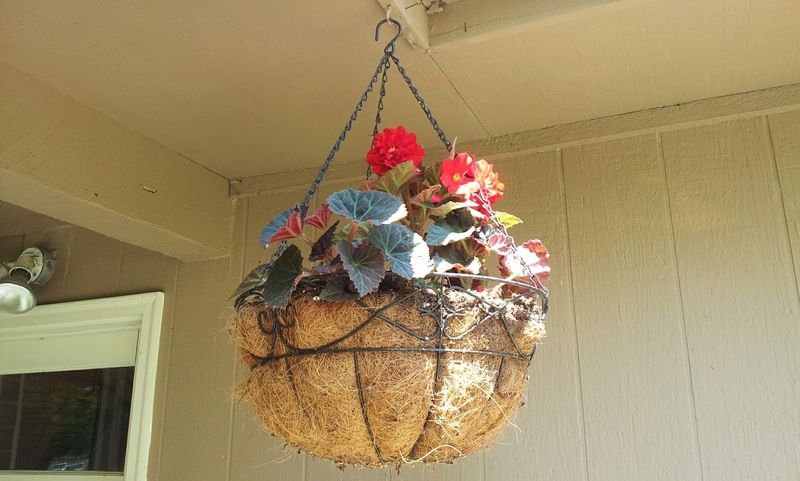 You are going to have quite a bounty! 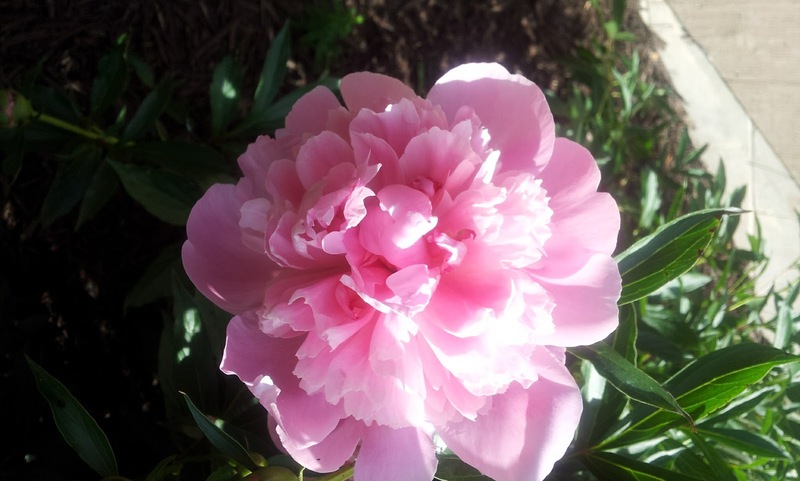 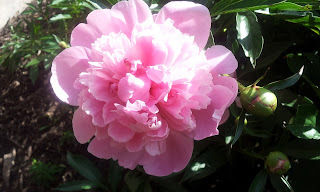 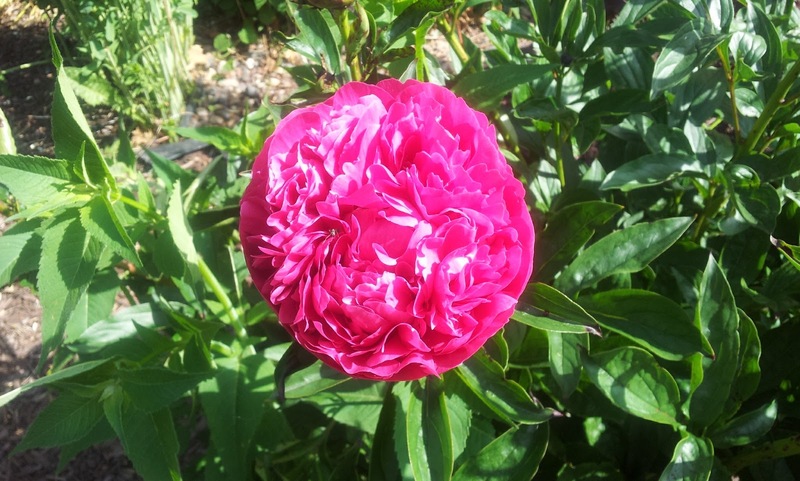 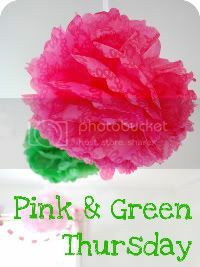 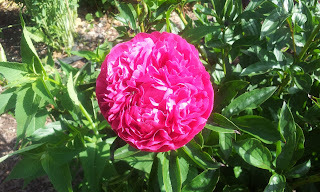 Peonies are my favorite too, my just started blooming too.